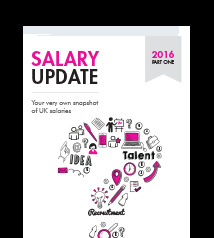 The UK recruitment market continues to be a positive place for many as confidence in the economy grows. The Office for National Statistics (ONS) revealed an increase of 6% in the number of vacancies in the three months from September to November, than in the same period in 2014. With more people in work than at any time in recorded history (over 31 million working in the UK – equivalent to 73.9% of the population), keeping on top of what your competitors are offering has never been so important.